Last Monday I was that mother who took her kid to the emergency room and presented with a runny nose & cough that hasn't gone away for over a week. Yep. While I did feel as silly as it sounds, the management plan we had come up with before Christmas was to take her to the GP in the first instance and if it doesn't get better over the next few days then take her to the hospital. By Monday she'd had a runny nose for over a week and a cough for a week, so off to the hospital we went. Luckily the ER was fairly quiet. A friend of ours who used to work as a nurse there said to always come in the early morning preferably before 9am. It's always quiet before then, the sick sleep in. This has always proven to be true. 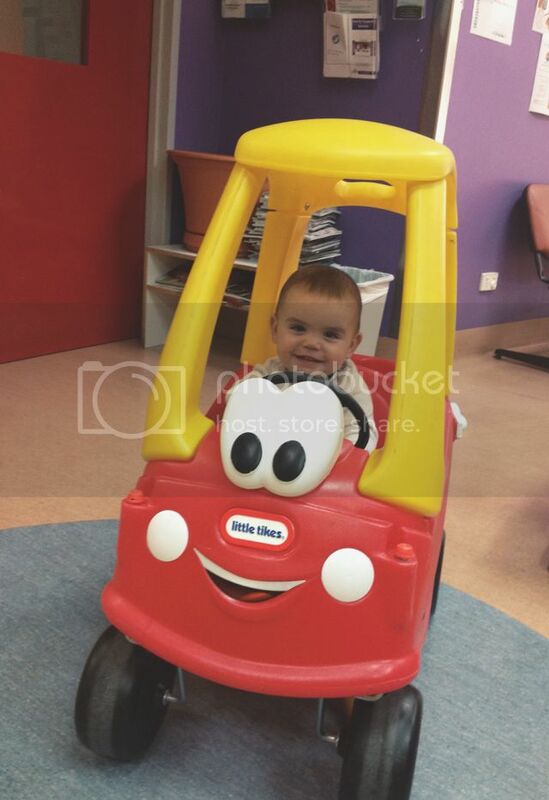 After I went through her history I sensed that the ER doctors were a little skeptical of the situation, with both the first doctor and his boss saying that she wouldn't need medication to kick the cough, but they sought a second opinion from the Paediatric doctors and I am so glad they did. One of the Paediatric doctors spent half an hour reading through Lulu's file and then when the senior doctor came (Our hospital is a teaching hospital) she spent a while with him getting the run down before speaking with us. This made me feel so much better. Based on her history (and I guess the fact that she had coughed a fair bit in the time they had been there) they recommended a five day course of antibiotics and a chest x-ray. They stressed that they wouldn't do a chest x-ray every time Lulu has a cough but it had been a few months since her last x-ray so they needed to see how she was going. We had a follow up appointment on Friday. I've used up all my sick leave at work for the year on our hospital visits in Nov/Dec (A new allocation of sick leave starts on the anniversary of when you started work, I'll get a new allocation in July!) so Nick took her. The x-ray showed some mucus in her lungs and she's been prescribed another two weeks of antibiotics to help clear it. The Paeds doctors think that it is just from the infection, not from fluids leaking into her lungs. Hopefully the antibiotics will clear it. She has a follow up with the respiratory doctors from Adelaide in April when they have a clinic here and the speech pathologist will see her at daycare next week. It was a little scary being back at the emergency room, even when she was playing with the toys and so happy (she was so excited about going to the hospital & insisted on taking two teddies and peppa). Because she seems so healthy you forget about what happened and it's only when you're back there or when she coughs up a lung (so to speak) that you remember she was so sick & it was so scary. Thank goodness we pushed it this time & took her to the emergency room for her cough. The antibiotics are working already and the cough is on the mend.